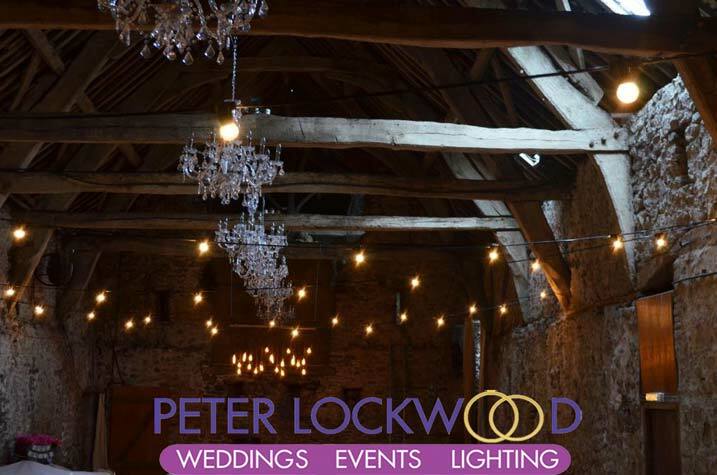 Park House Barn Wedding lighting by peter lockwood. Park House Barn Milnthorpe Wedding lighting. The barn is a stunning blank canvas on a fully working farm. 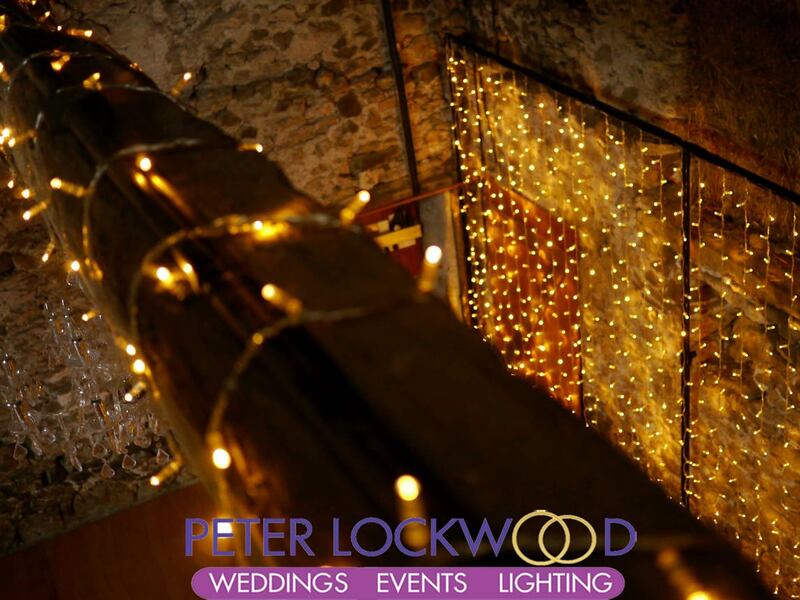 In the wedding pictured below I provided fairy lights wrapped around the 7 oak beams. Along with a 8 meter wide fairy light curtain set up for a backdrop to the band. 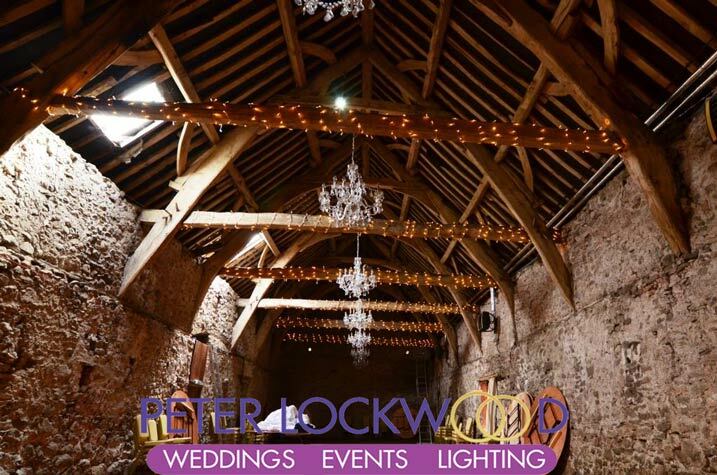 The picture on the right you can see the fairy light backdrop and the oak beams from the top of the barn. 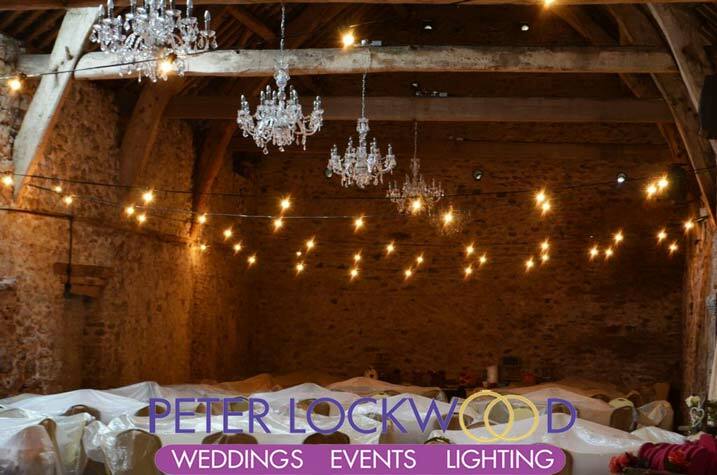 Around 30 meters of warm white fairy lights was wrapped around each of the 7 oak beams to create the effect my clients wanted. The two pictures below show the barn at Park House with fairy lights from both ends of the barn. 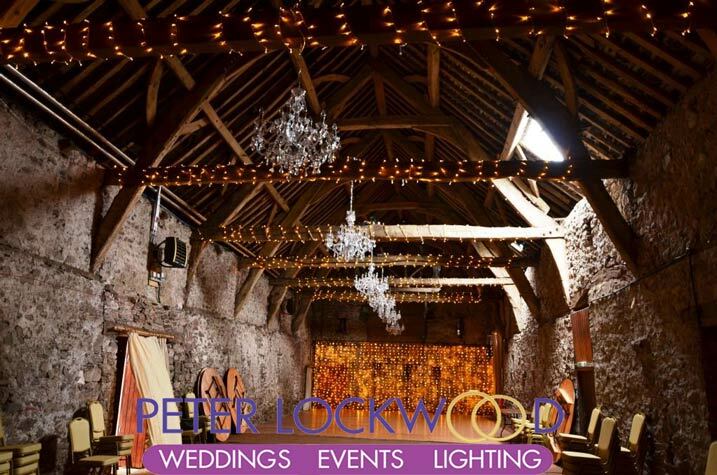 Park House Barn Milnthorpe Wedding lighting, we can provide stunning Edision Lighting along with Fairy Lights , Uplighting for a splash of colour Backdrops and Draping. 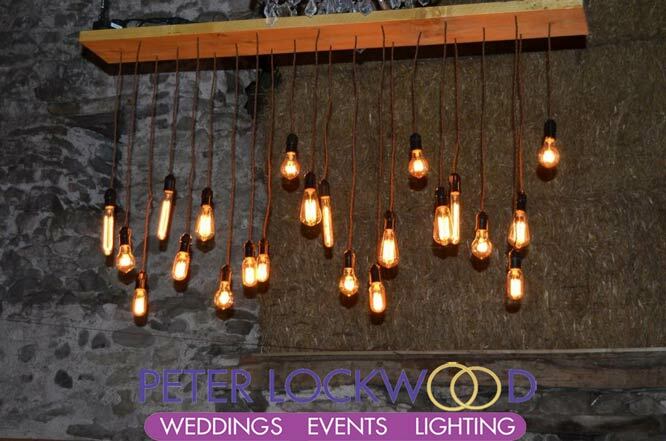 Please get in touch for your Park House Barn Wedding Lighting and extras.